I made this chocolate pecan pie and fresh whipped cream on Saturday and everyone loved it. The recipe is a keeper. The house is in order for the most part for the holidays. 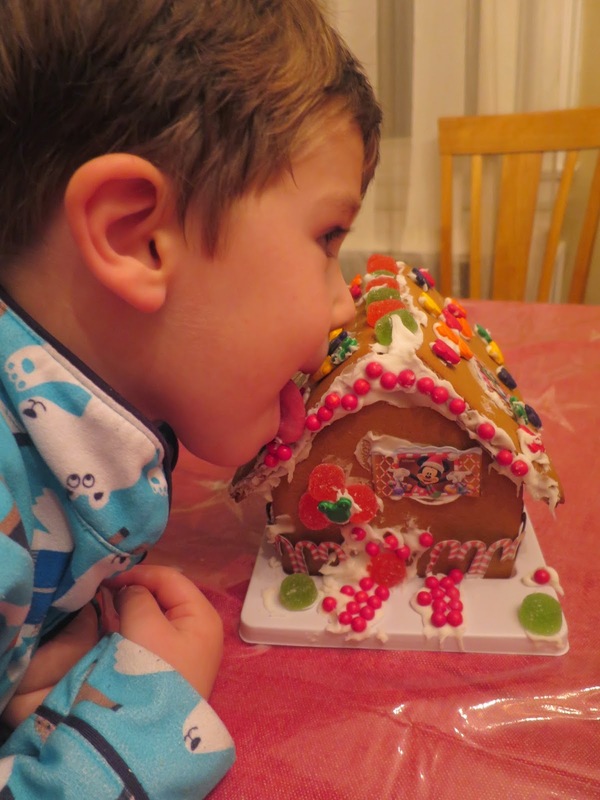 I made a gingerbread house with the kids yesterday. Yes, he is licking it. I pick and choose my battles. We have a lot of fun activities this week/weekend -- holiday parties, tree lighting among other fun events. Hard to believe it's only 3 1/2 weeks until Christmas and then 2014 is over!